$2,375.00 each List: $4,286.00, You Save: $1,911.00! 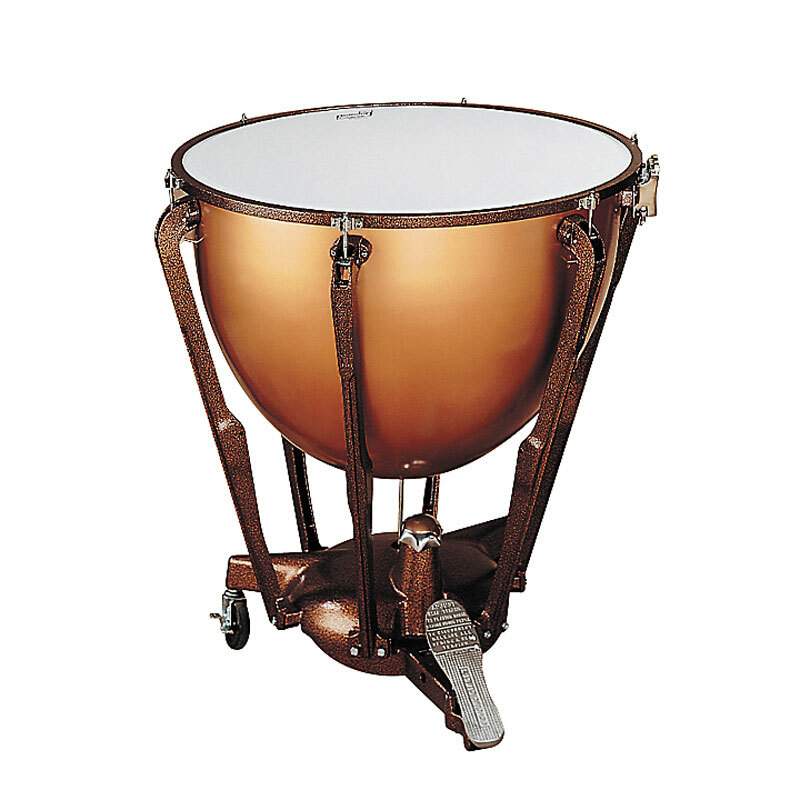 Ludwig Standard Timpani can be found in band halls across the country because of their reliability, simplicity, and low price tag. The balanced-action foot pedal is easy to manipulate, letting your students think about important things like pitches and stickings without worrying about how to work the pedal mechanism. The polished copper bowl provides you with a rich, deep tone that can be easily heard through a large professional ensemble. A fine-tuning knob located just below the resonating chamber allows you to make slight pitch adjustments on the fly, while the professional tuning gauge can be set to accurately show you exactly where the pitches lie. This 23" drum is the smallest in a standard set of four drums, reaching pitches higher in the instrument's range without sounding thin or choked.